c1100 The Paganell (Paynell) family. Fulk Paganell was a Sheriff around here. 1154 Phillip de Kaynes was lord of the manor; he donated Willen Church to Tickford Priory. 1216-1251 The de Evere family had land in Willen. 1290s Jeffrey Gibwen, Lord of Great Linford, donated lands in Willen to Snelshall Priory. 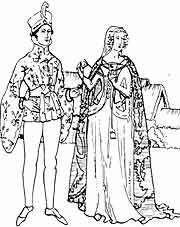 1398-1499 The Malyns family, also Lords of Gt. Linford held parts of the manor. 1420-1542 The Hanchets (Hancherche) held Caldecote, but also held some land in Willen. 1490-1640 The Mordaunts, Earls of Peterborough were lords of the manor. 1543 John White acquired the lands from the Hanchets. His niece Susan married Roger Nichols. 1550-1651 The Nichols family held the land but eventually bankrupted themselves enclosing it. 1651-1673 Colonel Robert Hammond, (the regicide), bought the land from the Nichols family. 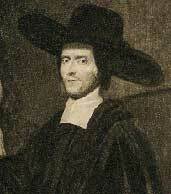 1673-1695 Richard Busby, Headmaster of Westminster School, bought the manor. 1695-1948 The Busby Trust was formed on Busby's death and managed the estate for Charitable purposes. 1948 Henry Rees bought the village from the Busby Trust after a crash in land prices. This welsh farming family held the village until the late 1970's, when they sold off the land the Milton Keynes Development Corporation, although they had started selling off the cottages into private ownership from the 1960's onwards.